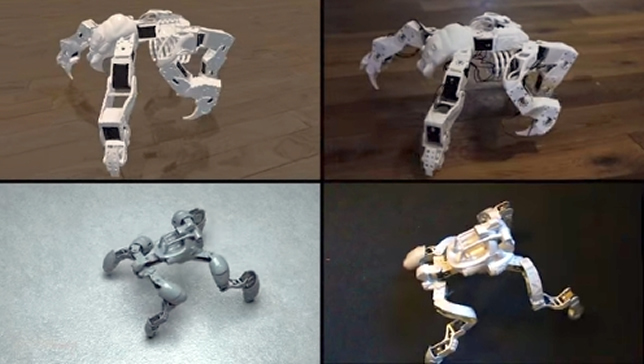 Researchers at Carnegie Mellon University and Disney Research have partnered on an interactive design system that lets "casual users" create 3D-printable robotic creatures. In a paper recently delivered at ACM SIGGRAPH, the team described an approach that automates the "tedious parts of the design process" and keeps the creation stable while still allowing for customization of shape, proportions, gait and motion style. The robot can then be produced using a 3D printer and standard servo motors. "We aim to reinvent the way in which personal robotic devices are designed, fabricated and customized according to the individual needs and preferences of their users," said Stelian Coros, study co-author and a former Disney scientist who is now an assistant professor of robotics at Carnegie Mellon. The result, added co-author Markus Gross, a vice president at Disney Research, will be of interest to "technology enthusiasts and the maker community at large." The design interface of the application offers two views. In one, the creator can edit the robot's structure and motion, which will result in motors being added or removed; in the second view the creator can see how the changes would alter the robot's behavior. Once design is complete, the program generates a 3D plan for all body parts, including connectors for the motors, which can then be sent to a 3D printer for fabrication. However, the researchers pointed out, even though design of the robot will be simpler, it still takes "hours" to print and assemble the parts. In the future the research team hopes to extend its tools to allow users to specify a "motion repertoire" that includes being able to have the robot switch between gaits, take on a "rich" persona and interact with objects and humans. The paper, "Interactive Design of 3D Printable Robotic Creatures," is available on the Disney Research site here. A video demonstrating the basics of the program is available on YouTube.